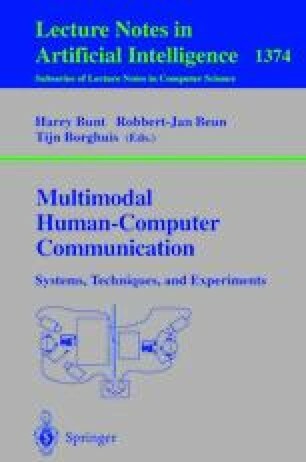 In this paper, we discuss how multiple input modalities may be combined to produce more natural user interfaces. To illustrate this technique, we present a prototype map-based application for a travel planning domain. The application is distinguished by a synergistic combination of handwriting, gesture and speech modalities; access to existing data sources including the World Wide Web; and a mobile handheld interface. To implement the described application, a hierarchical distributed network of heterogeneous software agents was augmented by appropriate functionality for developing synergistic multimodal applications.